Betatype reduced costs by thousands, and time by hundreds of hours. Betatype, a provider of additively manufactured components, has produced 384 headlight parts in a single build using metal powder bed fusion, saving days in time and thousands of pounds. Through this process, the company streamlined the production of large heatsinks for LED automotive headlights, which were identified by Betatype as well-suited to being additively manufactured with the powder bed fusion process. Betatype noted the process would be ideal for the specific geometry of these metal parts, since it can consolidate multiple builds into one. A great article by Kent Firestone of Stratasys summarising the many areas where 3D printing is affecting supply chains. 3D printing has been around for decades, but it wasn’t until the last several years that its potential has been more broadly realized. During that awakening, there were many claims stating the technology would disrupt the supply chain. Although there’s no denying 3D printing is impacting the supply chain, the traditional supply chain remains relatively unchanged. Before 3D printing can impact operations on a broader scale, there are challenges that must be addressed, such as equipment and material costs. And the conversation must shift from 3D printing’s technical benefits to its business value, thus highlighting its impact on the supply chain. As this becomes common knowledge, more and more companies can realize how 3D printing can give their operations an edge. Beyond the benefits at the macro-level, companies that incorporate 3D printing into their manufacturing processes are seeing tangible benefits across several areas. 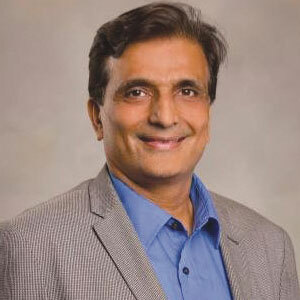 In an article in CIO Review, Professor Nick Vyas, Executive Director and Co-Founder of USC Marshall’s Center for Global Supply Chain Management, looks at what technologies are disrupting supply chains – naturally including 3D printing! The key advantage of 3D printing is speed. With on-demand manufacturing supply chains become (sic) less complex, materials and components are supplied, as needed, eliminating the need for excess inventory and significantly reducing related costs. Given myriad fo advantages, various industries ranging from fashion to automotive are using 3D printing to create products on demand. For example, the use of 3D printing by California-based aerospace company SpaceX led to the construction of the emergency escape rockets on its new manned Dragon spacecraft. SpaceX developed materials, quickly and efficiently, that can withstand the demands of space travel. The lead-time reduction has reduced cost and enabled SpaceX to outstrip NASA in winning contracts for space station supply chain. 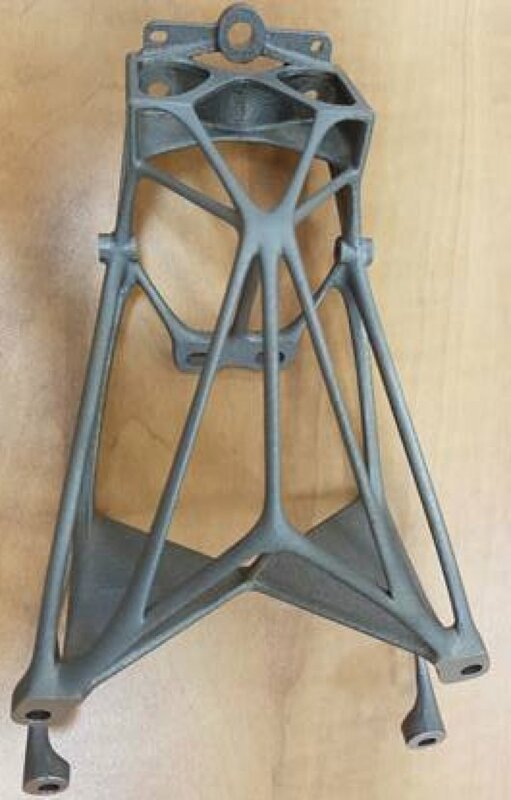 Canada Makes has announced its role in the development of a 3D printed satellite bracket that will be sent to space later this year. To build the part, the Canadian additive manufacturing agency partnered with French metal manufacturers FusiA and Canadian communications company MacDonald, Dettwiler and Associates (MDA). The project was funded by Canada Makes’ Metal Additive Demonstration program which is supported by Canadian research program, NRC-IRAP. A case study always brings to life the theory, making it real, and one that demonstrates the impact of 3D printing on the supply chain is always welcome! Boston Engineering has recently been using the capabilities of the Rize One industrial 3D printer to speed up the cycle time of production and to lowering costs. Sarah Saunders of 3dprint.com takes up the story. Massachusetts-based industrial 3D printing company Rize Inc., known for its augmented polymer deposition technology, introduced its desktop Rize One 3D printer last summer: the printer, with its high-speed support removal, pretty much eliminates the need for post-processing, saving users all kinds of time. We saw first-hand just last month that, as promised, the support structures do snap off quite quickly. The Rize One was the subject of a recent case study at Boston Engineering, also in Massachusetts, which provides engineering consulting and product design services for many industries, including consumer products, robotics, medical devices, and commercial products. The company has an FDM 3D printer in its additive manufacturing lab, but it was taking too long for the engineers, who are not housed in the lab, to get their 3D printed parts. Boston Engineering works hard to beat its competition and solve client challenges, by quickly getting products to market or designing the products themselves. But, you need speed to be the best, and the company’s current system just wasn’t working. The additive manufacturing lab is located far away from the offices, because the current 3D printer’s post-processing method needs the parts to soak in a chemical bath to remove support materials. The issue was causing a major bottleneck, as engineers were having to wait up to three days to get their 3D printed parts back from the lab. Add this to any possible design iterations that resulted in further 3D prints, and you can see the problem. In addition, the company’s FDM 3D printer was costing Boston Engineering too much money, what with the high operating costs that came with the necessary post-processing (materials, handling, labor, etc.). Reducing production times is one of the significant advantages of 3D printing over traditional manufacture. Increasingly, this is one of the main drivers for entire sectors moving to this approach, sectors like the dental industry. Two local companies have partnered up to produce what they say are the first 3D-printed dental implant bridges manufactured in the UAE. The Jebel Ali Industrial Area-based and Emirati-owned Sinterex – which is also the first company to be licensed for industrial 3D printing in Dubai – created the 14-unit framework in cobalt chrome at their local facility just last Thursday. Over the weekend, the framework was successfully fitted into a patient’s mouth. In 2013, a speculation on the topic “Does 3D printing mean the end of the global supply chain?” was initiated in a blog written by Kristina Pelzel (German). Today, almost three years and a lot of 3D printing hype later, it is time for the current technical state-of-the-art to be analyzed and to evaluate the effects of this technology on our world. In this two-part blog series, the first part is focused on defining the current state of development. The second part will deliver an outlook based on this defined state. Is 3D printing truly a revolution? Answering the question above is not easy because terms like “3D printing”, “additive manufacturing” and “rapid prototyping” are often used synonymously, even though they describe different technologies, philosophies and concepts. Today, as in 2013, the degree of sophistication and market penetration of these technologies strongly depend on the way they are applied and the industry in which they are applied. However, one thing is certain: 3D printing is becoming an established, market-changing technology in more and more areas. The 3D printing hype, which started in 2013 and – at least according to the media – lasted for about one year, left the impression that a new technology was taking over the market. This might have encouraged too high of expectations: for example, the impression that within a few months all manufacturing technologies would be replaced by 3D printing, and that everybody would be able to simply print their spare parts at home. How can 3D printing combat industry changes in manufacturing? Manufacturers are increasingly facing new challenges as they look to stay competitive in the global market place. From changing market forces to the need for increased production efficiency, the issues are broad. And all whilst trying to ensure that the quality of their goods is exceptional and customer response times are kept to a minimum. It’s clear that manufacturers must innovate in order to tackle these difficulties, and while many are keen to change the way their businesses run for the better, they are also concerned about the mounting pressures around cost and volume of materials used. Today, 3D printing can help tackle some of these challenges, offering transformative advantages at every phase of creation, from initial concept design to production of final products and the steps in between. Author Supercharg3dPosted on 22nd September 2016 22nd March 2017 Categories Supply Chain Impact, Wider ImplicationsTags Cost reduction, Manufacturing, Production Time, QualityLeave a comment on How can 3D printing combat industry changes in manufacturing? 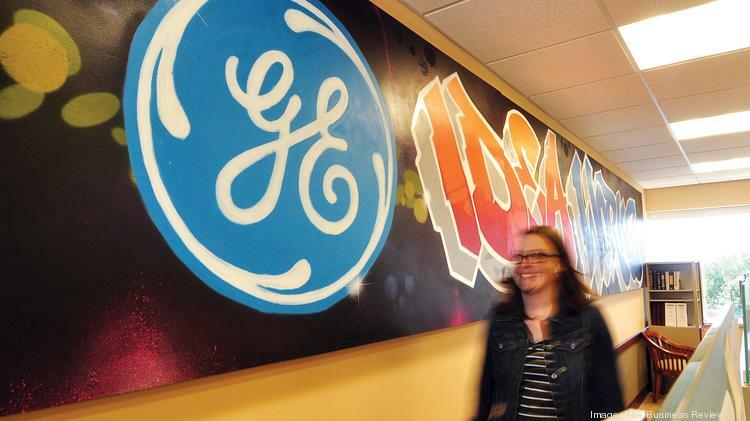 Edward Herderick, additive technologies leader at GE’s corporate supply chain and operations business, said the company is refining 3D printing for more core parts of its business. This comes as Jeff Immelt, chairman and CEO of General Electric (NYSE: GE), recently estimated a quarter of all GE components will be impacted by additive manufacturing. Speaking at the Additive Manufacturing Industry Summit, a gathering of manufacturing, medical and aerospace industry looking into the potential of 3D printing at the Hope Hotel, Herderick laid out GE’s strategy to use the technology more aggressively. Volvo Trucks is a global truck manufacturer based in Gothenburg, Sweden, owned by AB Volvo, and the company is the world’s second largest heavy-duty truck brand. The first Volvo truck was produced in 1928, and by 2011, the firm employed some 19,000 people around the world who manufacture and assemble trucks in 15 countries. The company produces and sells more than 100,000 units every year. And now Stratasys says Volvo Trucks has decreased turnaround times of critical assembly line manufacturing tools by more than 94% since incorporating additive manufacturing technology into their engine production processes in Lyon, France.